Bute is surprisingly easy to reach from mainland UK. There is a direct link by rail from Glasgow Central station to the Wemyss (pron. “weems”) Bay ferry terminal from where the Caledonian MacBrayne ferry takes approximately 35mins to make the crossing to Rothesay. You can also reach Bute by car (or bike) using a more circuitous and spectacular route by driving up past Loch Lomond and through the mountains of Argyll. This brings you to the tiny village of Colintraive from whence a small ferry crosses the Kyles of Bute to Rhubodach on the north of the island. Drive south to Rothesay from here and locate us on the seafront. 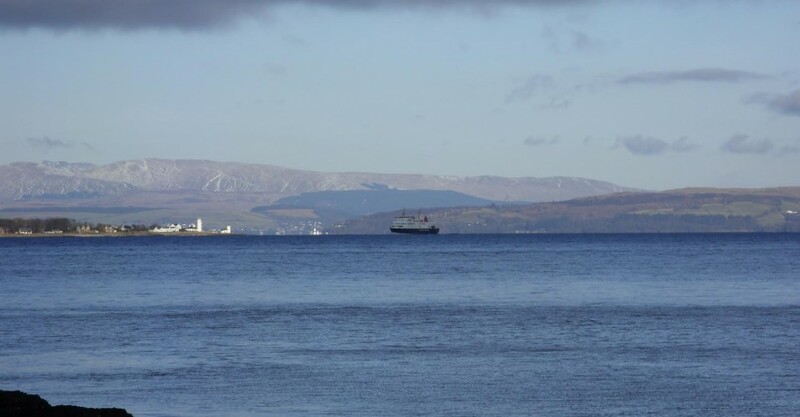 Once you’ve reached Rothesay Pier, we are very easy to find. Just turn left off the ferry and the Commodore is situated about 250 yards along the seafront. In fact you’ll see us as you come in on the Wemyss Bay ferry.